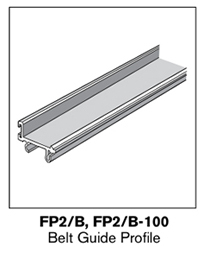 With the 10 mm T-slot on the sides and bottom of the conveyor section profile it is possible, using connection links and cross connectors, to extend the conveyor to any length requirement you may have. 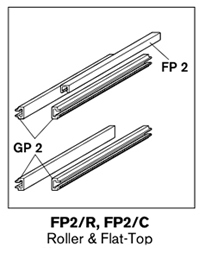 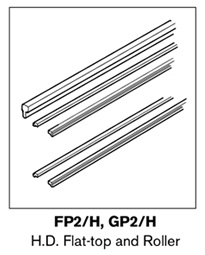 Cross connectors are used to keep the conveyor rails parallel and should be used at 2000 mm intervals. 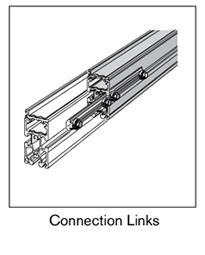 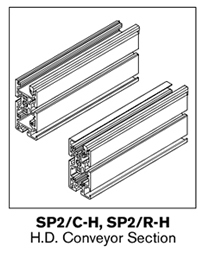 Connection links are used to extend conveyor profile sections. 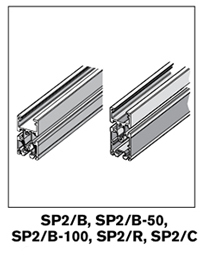 Guide profile functions as a bearing surface for the belt or chain and also guides the workpiece pallet. 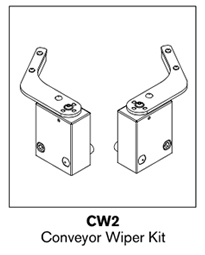 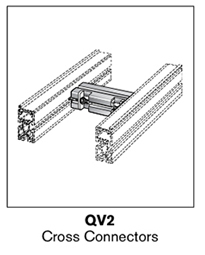 In addition, the T-slots provide a mount- ing location for pallet guides, wiper kits or other components and accessories.